It comes after the South Eastern Hampshire Clinical Commissioning Group (CCG) reversed its decision to label the site ‘surplus’ to the need of GPs in the town. The doctors, who are looking to relocate from the out-of-date Emsworth Surgery, are now set to reconsider the hospital site for their future plans – alongside other locations including Redlands Grange. As previously reported, the sales listing U-turn was announced at a packed public meeting on Wednesday – led by campaigners who are fighting to revive the hospital. Dwynwen Stepien has played a key role in the drive – dubbed Emsworth United. She said: ‘The whole of Emsworth is absolutely delighted that the for sale signs have been taken down from the Emsworth Victoria Cottage Hospital site. While he was unable to attend the meeting on Wednesday, Havant MP Alan Mak sent his apologies – and hailed the ‘early success’ achieved by the whole community. 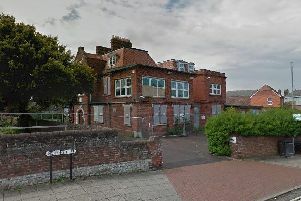 ‘Since I found out without notice four weeks ago that the Emsworth Victoria Cottage Hospital site was being listed for sale I have made this issue my number one priority, devoting much time and energy,’ he said. Mr Mak will be hosting a closed roundtable meeting in early September, to discuss plans for future use of the hospital site with all key stakeholders.